1. Quick and Easy Two-Step Stamping where you'll learn 6 watercoloring techniques while making 4 cards and a beautiful gift box @ Hobby Lobby. Details Below. 2. Grungeboard Bracelets - come express your own unique style by making a bracelet that looks and feels like leather @ Scrapbook Corner. Click here for details. 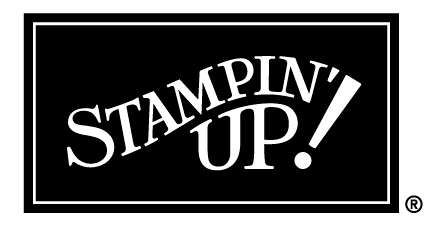 Quick & Easy Two-Step Stamping! Love the look of watercoloring but you think it is too difficult or complicated? Then this class if for you! 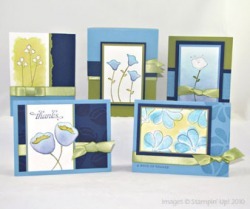 I will be demonstrating 6 ways to watercolor which will turn normal cards to “oh” cards. All it takes is the right tool. 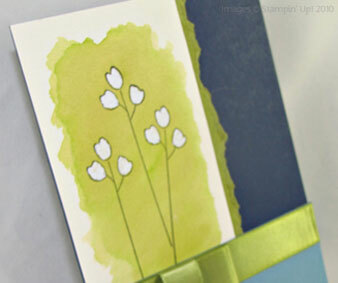 You will be astounded how easy watercoloring is with the Aqua Painter tool. 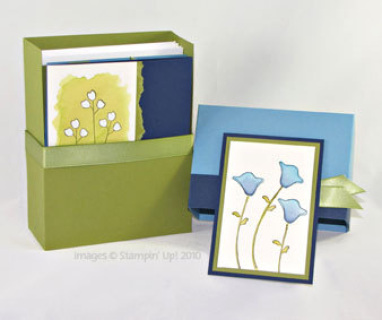 Join me to create this exquisite set of 4 cards in a convenient gift or storage box. As a demonstrator, you save $5. Please bring your scissors, Snail Adhesive and sticky strip.